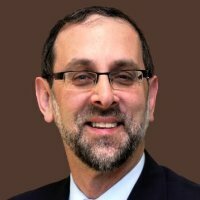 Rabbi Yosi Heber is a musmach of Rav Avrohom Pam Zt”L in Yeshiva Torah Vodaath and was also a talmid in Telshe Yeshiva – Chicago and Mir Yerushalayim. He is currently President of Oxford Hill Partners in Detroit and was a former marketing executive at Kraft General Foods and Dannon. His well known Daf Yomi Mesechta Review tape/CD series which covers all of shas, has been listened to by tens of thousands of people around the world. Yosi has also written extensively on the concepts of Kiddush Hashem in the Workplace and related topics, and has spoken on these topics in many venues including at various Agudas Yisroel conventions.